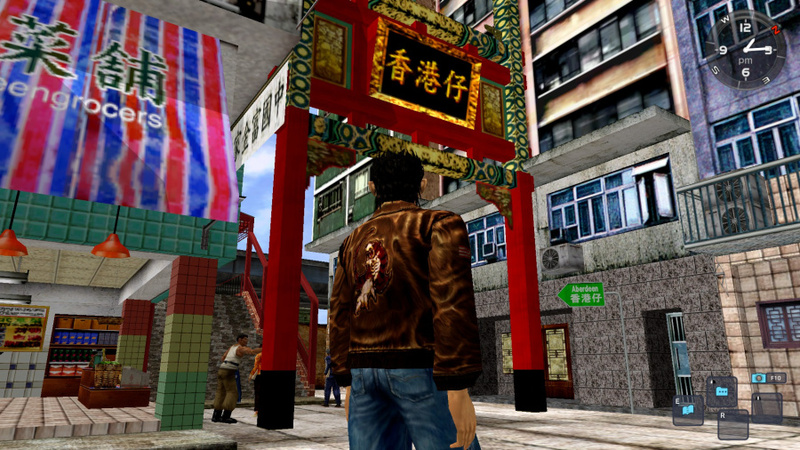 The Shenmue series includes a variety of ways to make in-game money, whether it’s operating a forklift, gambling, or moving crates (yes, seriously). In real-life, you won’t need to spend too much time grafting to afford SEGA’s anticipated compilation collection, as Shenmue I & II will retail for $29.99 in the United States. There’s still no date attached to the re-release, but British developer D3T has now been confirmed to be handling the conversion. The studio’s actually been a long-time partner of Sony, working on games like Lemmings Touch for the PlayStation Vita and PS4 port, Super Stardust Ultra. But it’s also done outsourcing work for major titles like Killzone: Shadow Fall and The Witcher 3: Wild Hunt. That's actually a super low price! I wonder if it's to get it in as many hands as possible to create interest for the third game? That's about what I paid for my Dreamcast copy of Shenmue and Xbox copy of Shenmue II together. Incredibly affordable price for this collection. @get2sammyb What do you think of the box art? I think it blends the two original covers nicely. I read your article from a few years back about your love for Shenmue earlier. It very similar to what I had with Metal Gear Solid, it turned my entire outlook on games back in 2000 when I first played it to the point I was obsessed with MGS2 wanting to know every little detail about it. Then I completed over one weekend. But oddly when MGS3 came around I was excited but I was much more laid back this time. In the end I ended up loving Snake Eater more then Sons of Liberty. Perfect. This is the price point I was hoping for. And good to hear an accomplished studio is handling it. Thank goodness I won't break a bank for it. Good price. Are they also doing the other versions too, or just this one due to being longtime Sony associates? Hopefully we can still play all those classic sega games at the arcade. Duck Races, Fights, Arm Wrestling, Gambling, Flogging toy collections, all so you can buy more toys. Holy crap. Looks like I'm buying this. @Tasuki Did you ninja my comment? For real? I put a winkie face man, all in good fun! Awesome price. Less than $40 is awesome. Not $40 for one game like with Dark Souls... But yeah, this news keeps strong better and better. @RedMageLanakyn Umm not sure what you mean, my comment doesn't have anything to do with yours. @Tasuki I think @RedMageLanakyn believes you edited their comment and removed a "winkie face". @RedMageLanakyn @ToddlerNaruto Oh, sorry I misunderstood what you meant by ninja'd that's why I was confused, I thought you meant like I answered a question or something. But no I didn't edit any posts. Only time I do is if a user's post contains something that goes against forum rules like profanity for example. Yeah, excellent price, as others have stated. Possibly £24.99 in the UK? Not wishing to be 'that guy', but I think this is a case of 'rose tinted glasses' personally. While it was a somewhat impressive game back in the day (although I recall finding it eye-rollingly dramatic and cheesy, even back then), time has not been kind to the series. I watched bits of a Giantbomb playthrough a few months back and the game is completely outdated. I fear that for those playing the games for the first time, without the nostalgia from playing the games originally, they may find themselves struggling to enjoy the games. Wow... That is a great price. If you did S3 Kickstarter you can now have the entire collection for $60. I have zero interest in this.. I suspect that once nostalgia wears off, people will not be happy with this game. I’d honestly pay full price for both of these! Perfect pricing point. The last thing we need is a game too expensive to tempt the curious buyers. 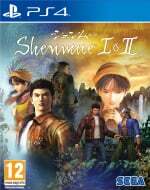 The more people discover these games, the more possible an hypothetical Shenmue 4 (yes, 4) can be. What I'm expecting now is an annoucement from Yu Suzuki himself telling us that his future Shenmue 3 will let you continue your save from 1 & 2 HD. How awesome would it be !! And I know, differents publishers and developpers, I know... But maybe they can work together just a little, for this kind of extra bonus. Not bad at all. I will eventually own for both systems at that price! Nice price, even though I already own both games on DC. Beats looking four the boot disc to switch Regions for the second game. If this is a low print run, it could sell out at that price. An absolute steal. Thanks Sega!